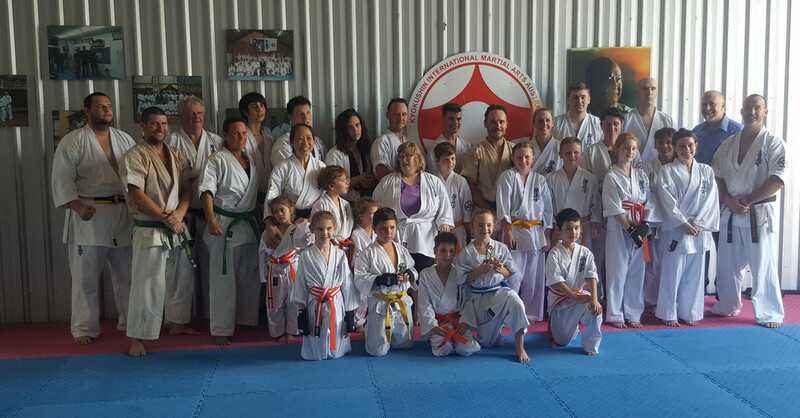 Sensei Mark McFadden and Sensei Jon Ellis held a combined Kyokushin grading for the students of Lismore and Ballina dojos. The grading was for adults and Little Lions. “Great effort today from all who graded,” was the praise of Sensei Mark. Thanks also go to Sempai Wally Gray, Sempai Patricia Tan, Sempai Will Brook and Wesley Snider for assistance with the grading, and to Sempai Trish, Larissa and Lauren for organising the catering. After the grading, Students of the Year awards were handed out, followed by a Christmas party. Well done to all who participated in the grading, and the Students of the Year. The karateka who graded with their instructors, 16 December 2017.